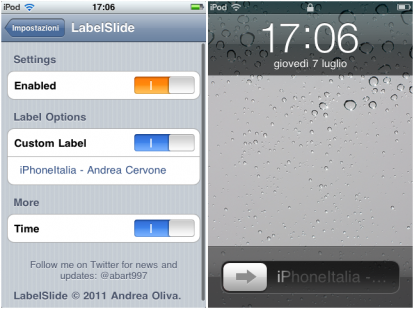 So as we mentioned yesterday that the TweakWeek has started and the first tweak released was SBVolume and now LabeSlide from the same developer named Andrea Oliva. This tweak is old but this time a bit enhanced because now you will be able to kick the stuff from the settings itself. This tweak will change the “Slide To Unlock” to any text you like to place at the unlock position.